Chem Chem Primary School is situated in one of the most drought ridden areas of North East Tanzania. It has a register of 289 pupils with 6 teachers and 8 classrooms. The funding for this well was donated by Clive Rook and his sons Jonathan and Stuart in memory of Lynne, wife and mother who had died of cancer in 2016. Prior to her diagnosis Lynne had attended one of our presentations and was so impressed by the charitys aims and achievements that during her final illness she requested that the family support the charity. 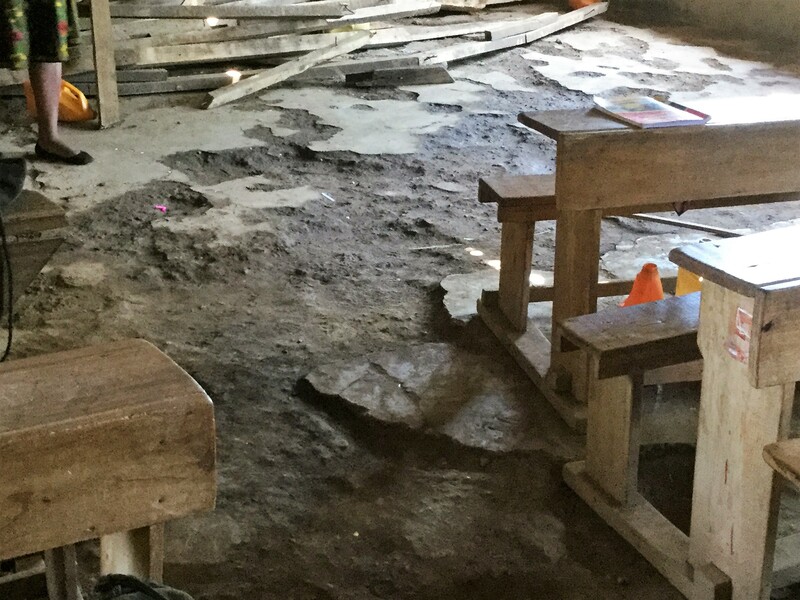 Jim encountered problems in reaching the school when he did a site visit there in February during the rainy season. He was met en-route by the Head Teacher on his motor cycle who advised him that the river was in spate and impassable. Thade our driver was advised that they should follow him making a detour to a crossing down river, At this point Jim and Thade took a dug out canoe with the Head Teachers bike tied to the canoe. Once safely across the river another motor cycle was hired and travelling three to a cycle they eventually reached the school.